Appellate and legal services attorneys discuss appellate procedure and strategies, and highlight special considerations for housing and family law appeals. Every day, self-represented litigants make their way through the justice system bringing appeals before the court; and until now, they were doing so entirely on their own. In response to this unmet need, the Pro Bono Appellate Committee recently established a pro bono civil appellate program designed to assist low-income litigants recommended by the Volunteer Lawyer Project by offering brief legal consultations or legal representation in court. The program, managed by the VLP and supported by Mintz Levin, will operate out of the established Court Service Center at the Brooke Courthouse, which houses the Central Division of the Boston Municipal Court, the Boston Housing Court, the Suffolk County Juvenile Court, and Suffolk Probate & Family Court. 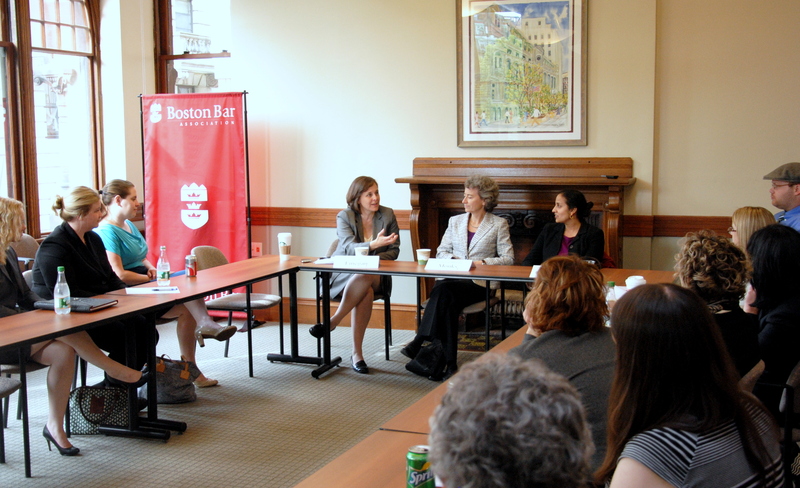 The BBA recently held an initial training for the clinic, featuring remarks from justices of the Appeals Court and panels consisting of representatives from across legal services, private practice, and the courts. How was this need determined? In 2013, the Massachusetts Access to Justice Commission established the Pro Bono Appellate Committee to study self-represented appellants in the court system and whether a pro bono program should be established to assist them. The data doesn’t lie: It showed that a significant number of appeals-related cases were brought up in the SJC for the County of Suffolk every week – from formal appeals to informal requests for advice. As of January 2014, over 225 civil appeals that involved at least one self-represented litigant were pending. Most of these cases are based in family law or landlord-tenant law issues, as well as some prisoners’ rights, mortgage forfeitures, and contract or tort cases. With this evidence in mind, and knowing that many self-represented litigants struggle with the complexities of the court system, the Pro Bono Appellate Committee began working with the VLP to create this pilot program. The program has three main aspects: a weekly Lawyer for the Day appellate clinic; referral to a Pro Bono Appellate Screening Panel that reviews potentially meritorious cases; and assignment of pro bono attorneys for cases selected by that Panel. This arrangement allows attorneys and court staff to give some guidance to cases that don’t necessarily need full representation, while also allowing for greater involvement if a case warrants it. The program also represents the cooperation of the courts, legal services, and private practice. While the VLP is overseeing the program in the court, volunteers from Mintz Levin will assist with coordinating clinic volunteers and tracking cases. Over time, the program is expected to expand to include other legal services organizations in the Boston area and enlist the assistance of area law firms. As with programs like Lawyer for the Day in Housing Court and the Court Service Center, the pilot pro bono civil appeals clinic could fundamentally change the way the court interacts with self-represented litigants and vice versa, and allow justice to be served properly. If you are interested in volunteering, we at the BBA will keep you updated about the progress of the program and future training opportunities. At Beyond the Billable, we know that lawyers are passionate about giving back to their legal community through pro bono and public service activities. However, finding volunteer opportunities and selecting the right one is no easy task. 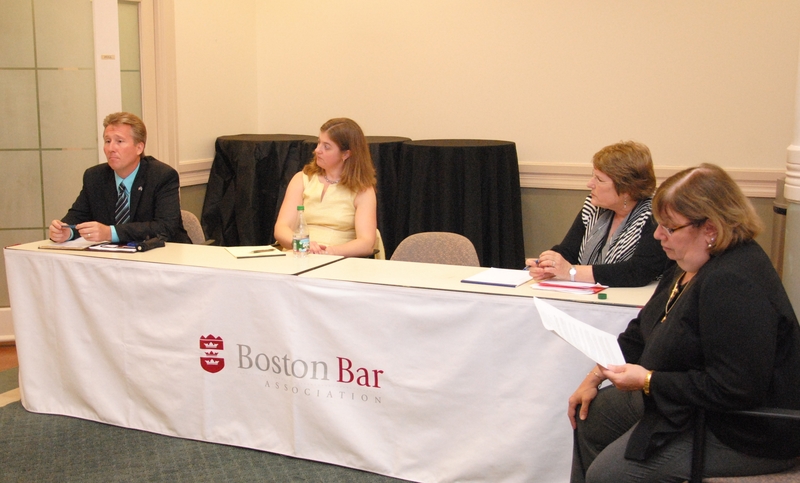 That’s why last week, the BBA welcomed speakers Patrick J. McDermott (Norfolk Probate and Family Court), Robin D. Murphy (Verrill Dana LLP), Karen Stuntz (McEvoy & Stuntz LLP), and Martin F. Kane (McGrath & Kane) to highlight opportunities for attorneys to gain legal experience while giving back to the Probate and Family Court. The event, “What Can I Do to Help? Volunteer Opportunities in the Probate and Family Court,” highlighted ways for volunteers to get more involved in the Probate and Family Court. If you missed the program, no problem, that’s why Beyond the Billable is here. Available opportunities include the Lawyer of the Day Program, Conciliation Program, DOVE—Domestic Violence Ended, Attorneys Representing Children (ARC), the Guardianship Clinic, and Limited Assistance Representation. If you want to learn more, or volunteer for these programs, click here.